The T4E Valves features a thick, continuous PFA liner which is locked to the body by T-slots. Since the PFA covers all wetted parts of the body the customer can save by not having to use high alloy materials for the body. The plug is PFA-encapsulated and the PFA covering extends up the stem through the top cap. 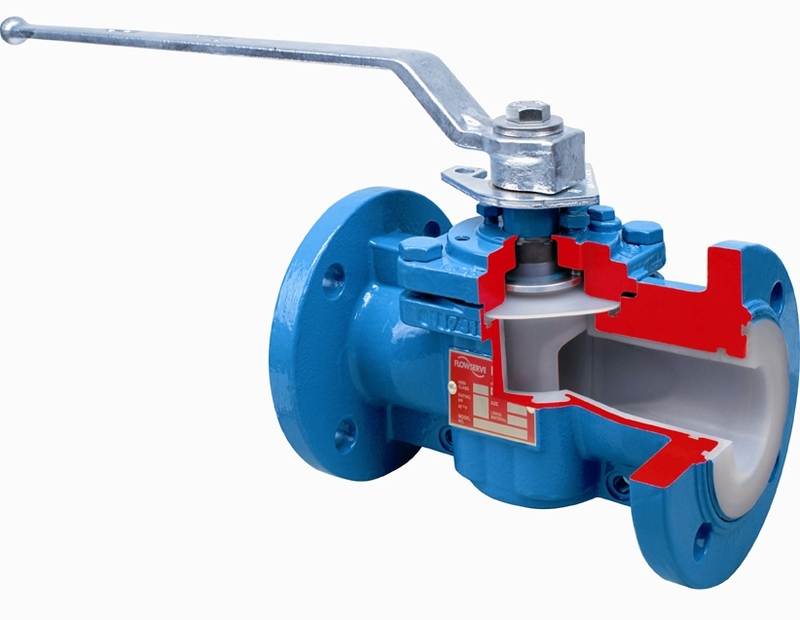 The large sealing surfaces of this valve insure drop-tight shut-off. These valves are bidirectional and totally independent of line pressure. The primary seal to the atmosphere is between the plug and the seal band at the top of the liner. As a secondary seal, a dynamic self-adjusting , self-energized reverse-lip PFA diaphragm seal prevents stem leakage. If line pressure should force liquid to the stem seal area, the self-energizing reverse lip PFA diaphragm will be forced against the stem to prevent external leakage. If a leak occurs, simply re-seat the plug with a quick and easy in-line adjustment. An open-end wrench and a few seconds are the extent of your maintenance requirements.